I could never read and enjoy poetry quickly. 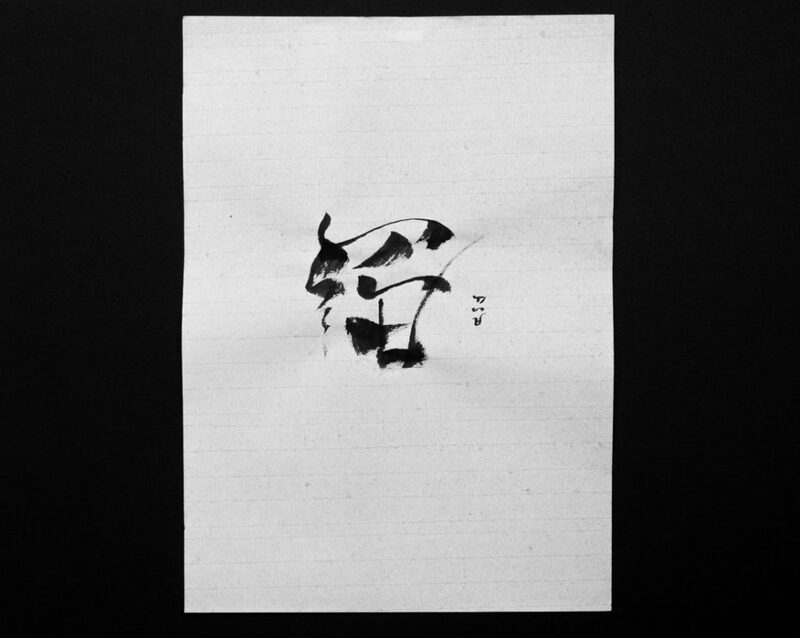 So as I sat and let this particular poem sink in me I became drawn to the words “magtipan” and “kaanyuan.” Calligraphy and ink drawings in the same way require a similar mindful attitude and thus I had this idea to create calligraphy pieces of those words. Kristian Kabuay is a Filipino artist from San Francisco whose focuses on Filipino decolonization through Baybayin script artwork of ink and calligraphy. Norman de los Santos (aka Nordenx) is another Filipino researcher and graphic designer from California whose works include highly technical Baybayin typeface design and scholarly script activity. These artists have done great work with popularizing Baybayin and standardizing the script. Their works as well as many Filipino artists on Instagram (links below) do well in inspiring me of the many aesthetics Filipinos are using with Baybayin script. 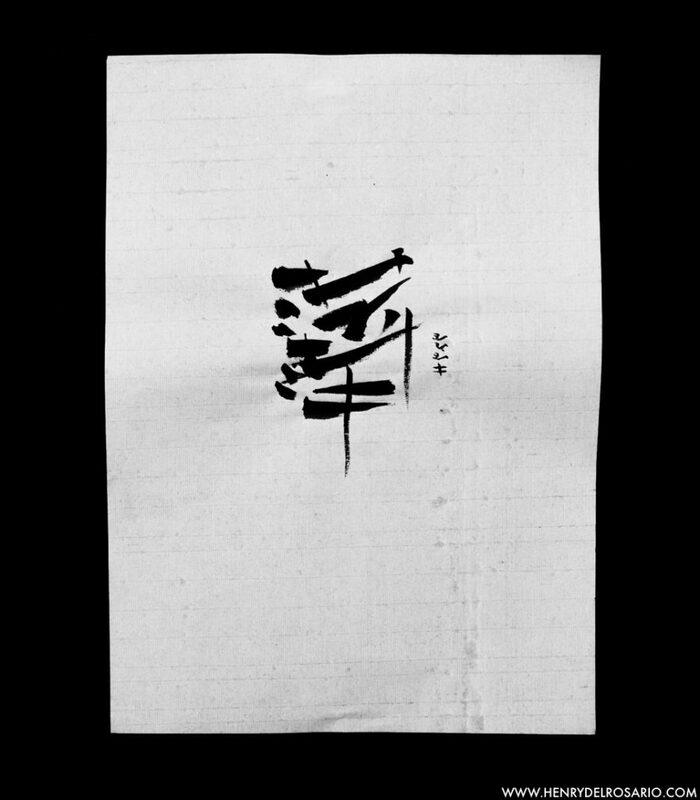 In particular, when I saw de los Santos’ creative graphic design of “mahal” I looked into more ways one could aesthetically combine the syllabic script of Baybayin into something new. 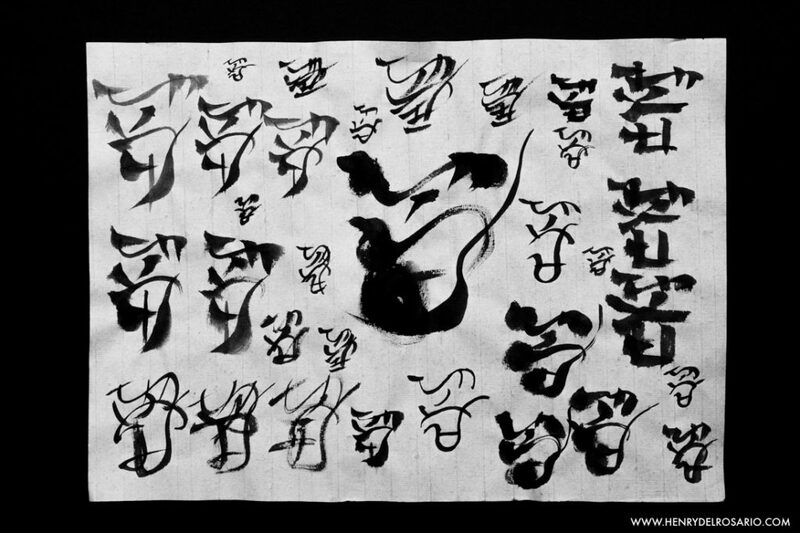 The aesthetics of combining parts to create a word or phrase immediately recalls logogram writing systems like the Chinese hànzì or the Japanese kanji. 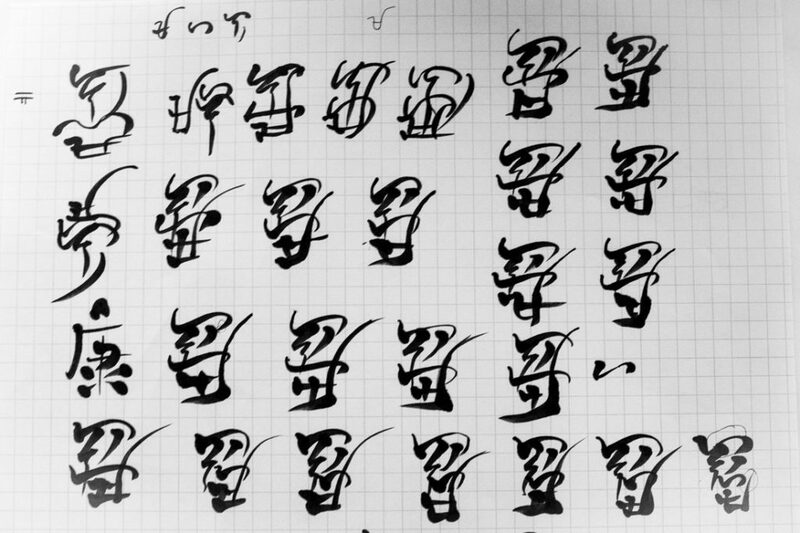 I started exploring how to combine the alphasyllabic letters of Baybayin into aesthetic units. Since I do not know what this process is called, I am going to coin this neologism: logographing! These are not true logographs or ideograms, because they are still made up of the alphasyllabic graphemes (not radicals) to create a single word, however, the aesthetic whole is pleasing to me, so I will be making more. 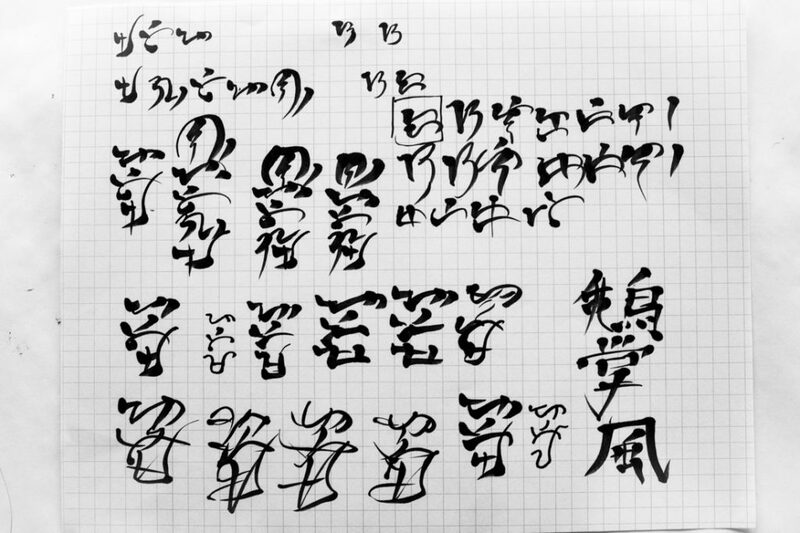 The following are some scans of my aesthetic process of letters to logograph.